To the current date, this has fallen upon deaf ears. 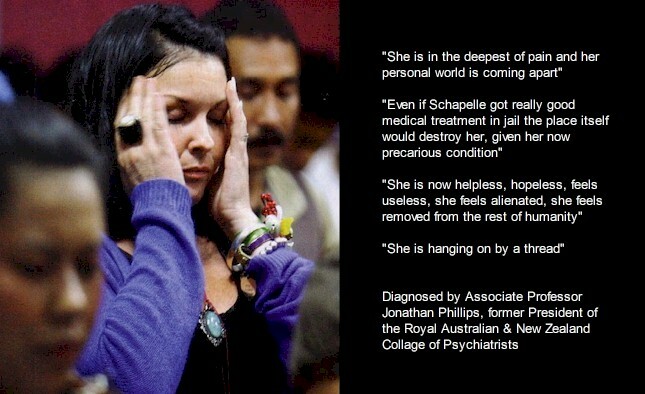 Neither the Australian nor Indonesian governments are listening to humanitarian voices, or to those demanding that Schapelle Corby's human rights are restored. 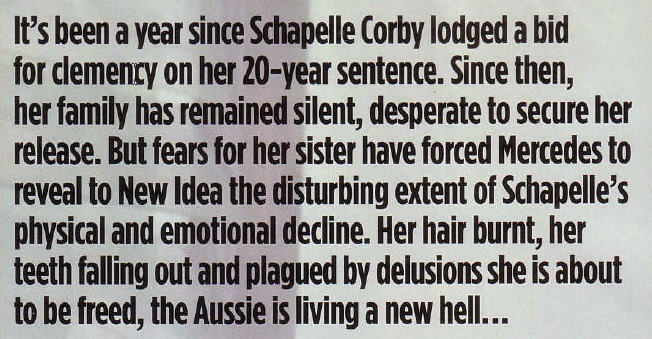 Schapelle Corby's health has continued to deteriorate. For further information on the medical diagnosis, and her current condition, click here. As documented by The Expendable Project, her grave condition is often ridiculed, and used as a source of humour, by sections of the Australian media. None of the national or international humanitarian or human rights agencies have taken any steps to help her.